You can update the director and secretary service address via your online company portal, free of charge. If you need to update a shareholder's service address, this will need to be completed via a confirmation statement as it cannot be updated from your account. Scroll down to Directors or Secretaries and click Edit. 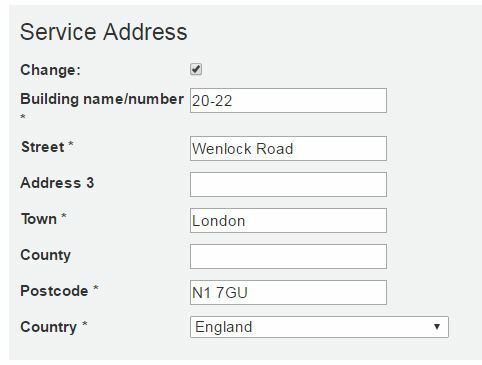 Click inside the Change checkbox so you can enter the new address. Your request is now submitted to Companies House awaiting approval, which normally takes up to 3 working hours. We'll send you a confirmation email if it is accepted. You will see the old service address until it's accepted. If for any reason the request is rejected, we'll let you know why and how to resolve it. Next, you will need to update HMRC with the new address so they can log it on their systems. Please note, it can take up to 24 hours for the new address to appear on the Companies House register.